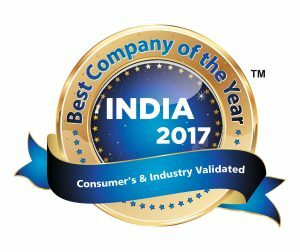 Dai-ichi Karkaria Ltd. was selected as India’s Best Company of the Year 2017 among the Top 50 companies of India. We were honoured to receive such a prestigious award. Read the full article below. Mr. Satinder Pal Singh Ahuja (Honorary Consul of Georgia in Mumbai), Mr. Arvind Malkhede (I.R.T.S. – Govt. of India) & Justice Anoop Mohta (Former Judge Bombay High Court) inaugurated India’s Best Company of the Year awards ceremony as the chief guest for the evening. “Today’s evening has been all about leadership, entrepreneurship, and inspiration said Mr Kaushik, the CEO. He said, “Today’s day was magical. It is truly a proud moment for selected Top Indian Companies as companies and leaders got a powerful platform to showcase their strength and companies value”. India’s Best Company of the Year Council will continue to honour and recognize the best companies in the years to come. The group will continue to showcase the companies and organisations that are touching and changing the lives of millions of Indians in the country. India’s Best Company of the Year Award provides these winners an opportunity to showcase their achievements, contributions and network. Mrs. Shernaz Firoze Vakil (CMD) and Ms. Meher Vakil (COO) from (Dai-ichi Karkaria Ltd.) were present to receive the award during INDIA’S BEST COMPANY OF THE YEAR AWARDS 2017 ceremony. India’s Best Company of the Year Awar is a distinctive recognition for a company recognized as, “BEST COMPANY” in its industry category based on current year market standing, innovation, leadership, governance, CSR and other such factors. Its evaluation process is based on expert analysis and attributes based qualitative research. The awards identify those which have maintained the highest standards of product & service integrity and companies development. Mr. Pushpit Gaur (Manager Brand Development) gave a vote of thanks to all the winners on being the INDIA’S BEST COMPANY OF THE YEAR 2017 and the glittering awards ceremony was hosted by Emcee Bhavna Bhatia, well attended by industry leaders from across business and service categories, media celebrities and many other eminent guests. Besides celebrating the new milestones created by companies in India, the event was also one of the finest opportunities to network and interact with the best minds in the country.